We are offering several pre-conference options before the Forma Conference begins. They all include lunch on Wednesday at Christ Church Cathedral. Join with Catherine Meeks, Ph.D from the Diocese of Atlanta to continue our conversation "Formed for Justice" from the 2018 Conference. This format will give participants time to ask questions, process new ideas, and think about justice work in the age of social media. In January 2016, the Diocese of Atlanta began the work of creating a youth curriculum for young people grades 6-12 centered around dismantling racism and becoming beloved community. The curriculum was produced by the Office of Youth Ministries in collaboration with the Absalom Jones Center for Racial Healing. The curriculum includes 6 lessons that cover Diversity, The History, White Privilege, Internalized Oppression, and Steps to Racial Healing. Each lesson plan comes with a video and other multi-media materials. If you have completed dismantling racism training offered by a diocese of The Episcopal Church, you do not need to take the training being offered on Tuesday. You will only need to attend the youth curriculum training offered all day Wednesday. If you have not completed dismantling racism training, you must do so in your diocese or on Tuesday with Dr. Catherine Meeks. The first day of training will be the Standard Dismantling Racism Training used in the Diocese of Atlanta. It will be first come first serve for the training with Dr. Catherine Meeks, Executive Director of the Center for Racial Healing. Other trainers will be available to meet demand as needed. The second day of training will be the Youth Curriculum Training led by the writers of the curriculum, Sally Ulrey and Katie McRee. Other trainers will be available to meet demand as needed. The goal of the trainings will be to equip those that work with youth to understand the subject matter and to use this curriculum in their dioceses and parishes. At the training, you will receive a 1 training manual and 1 student journal. You will place your order for additional manuals and student journals at the training that you will receive within 30 days. You are Loved is a 3 hour workshop designed to help individuals and congregations looking to become better allies to LGBTQ communities. Keeping children engaged in Godly Play through twelve years of age requires interacting with all 81 Godly Play lessons and understanding how to use the full spiral curriculum of Godly Play. Come learn more about the practical aspects and theory of practicing Godly Play with children as they grow beyond preschool and early elementary school. This workshop is both for leaders of Godly Play programs seeking to expand to older age groups and for those programs already using Godly Play with older children and seeking to deepen that practice. Participants will review how the different kinds of lessons in each of the story genres extend and enrich the experience of Godly Play for the older children and their leaders. Interactive discussions will touch on how to schedule lessons, creating a "right sized" Godly Play environment, the characteristics of successful Godly Play leaders with children over 7 years of age, and keeping parents informed. Participants will return to their parishes with new insights and practical ways to enhance their children's practice of Godly Play. Stories of God at Home: A Godly Play Approach is an exciting new offering from Godly Play. The importance of faith formation at home is a current and vital topic. Bringing Godly Play into the home in a deeply playful way builds layers of family stories woven together with stories of God. In this way families are able to fill a reservoir of meaning to draw from when unforeseen challenges arise. Parents, grandparents and other adults are often afraid of talking about God and their faith at home, feeling unprepared and not knowing where to start. The resources in the Stories of God at Home program provide guidance and structure. Adults can access these resources on their own, yet need support to do this work well. Faith Formation leaders in churches and school are uniquely equipped to introduce and nurture this at home practice through sponsoring parenting forums and other events. Imagine families weaving their family’s stories in with the Parable of the Good Shepherd, Creation, Christmas, Easter, Pentecost and the Circle of the Church Year. Godly Play would like to offer a hands on workshop to Forma members. The goal of this workshop would be to introduce the Stories of God at Home program, discuss the importance of faith at home, review the resources available, assemble a Creation do-it-yourself lesson, and learn the ways in which Faith Formation leaders can bring this rich yet accessible and affordable family faith practice to their own church or school. The cost of the workshop includes materials. Participants will receive a copy of the book, Stories of God at Home: A Godly Play Approach, a Creation DIY kit, and the assembly materials (felt, lamination supplies). 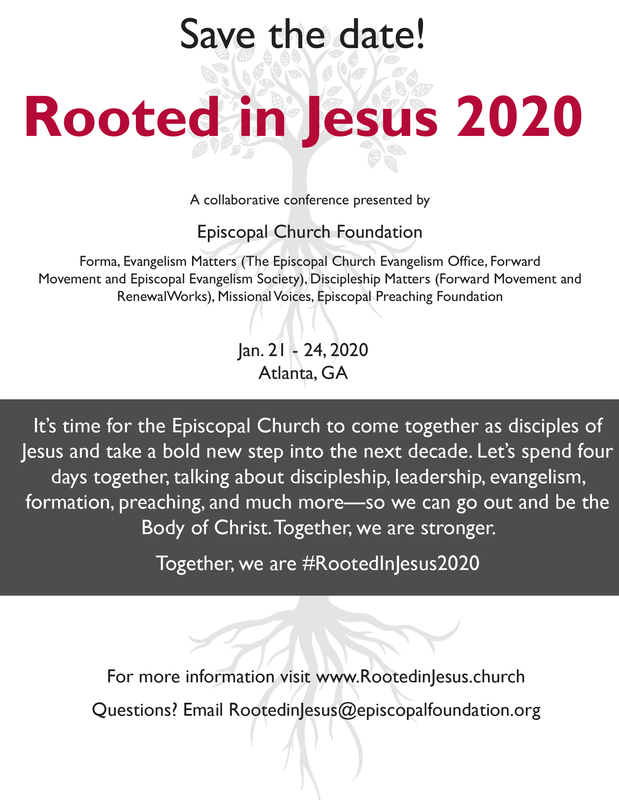 Stick around for the Episcopal Church Camp and Conference Centers (ECCC) conference or just to have a day of conversation and training with our camp ministry partners. We will have time to discuss the discipleship pipeline between camp and church as well a training session of an important ministry component.